I’m not really a big fan of Apple products so this isn’t actually any of my business but I decided to make a post about it for you (that’s if you are using an apple device. However, I must not fail to say that the iPhone 8 is a solid phone. Previously before the release of the iPhone 8, you could hold the power and home buttons for several seconds to force a reboot. This served as a great strategy if your iPhone was frozen, but now you’ll have to use a slightly new way to force-restart your device now because the old method no longer works. 1. Press and release the Volume Up button on the left side of your phone. 2.Then, press and release the Volume Down button below it. 3.Finally, press and hold the side Power button until you see the Apple logo appear on the screen, then let go. Connect your iPhone to your Macbook or PC with iTunes installed using a USB cable. Follow the same steps, but hold the Power button even after you see the Apple Logo. You’ll see a Connect to iTunes screen appear after a few seconds. Release the Power button, and launch iTunes. iTunes will tell you there’s a problem with your iPhone. You can choose Update or Restore to attempt to fix it. Apple will be launching the iPhone X alongside with the iPhone 8 and iPhone 8 , ( the iPhone 8 and 8 plus turns out to be what we’ve been calling the iPhone 7 s and iPhone 7 Plus.) tomorrow and just in case you’re wondering why it’s called iPhone X, it’s the 10th anniversary of the iPhone. Looking at the name, I’m still trying to make sure I’m not calling the name wrongly. 2.The iPhone X Side Button will actually not be clickable but press-able like the iPhone 7 Home Button with Force/ 3D Touch. It also has Hall Sensor Built in which can support iPad Magnetic Sensor like accessories (Smart Cover). 3 iPhone X is powered by a new A11 fusion SoC, which features a six-core processor. Four are so-called “Mistral” high-performance cores, while the other two are low-power “Monsson” cores. 5. iPhone X will have Animoji. It’s a type of customized animated messages that use your voice and reflect your facial expressions. It makes use of face-tracking hardware. The iPhone X may cost over N385,000.. Nevertheless, I think Apple really did a good job with the iPhone X but it’s a bit Overpriced. Apple will also be unveiling the new 4K Apple TV tomorrow. The Launch Starts By 7pm GMT+1. 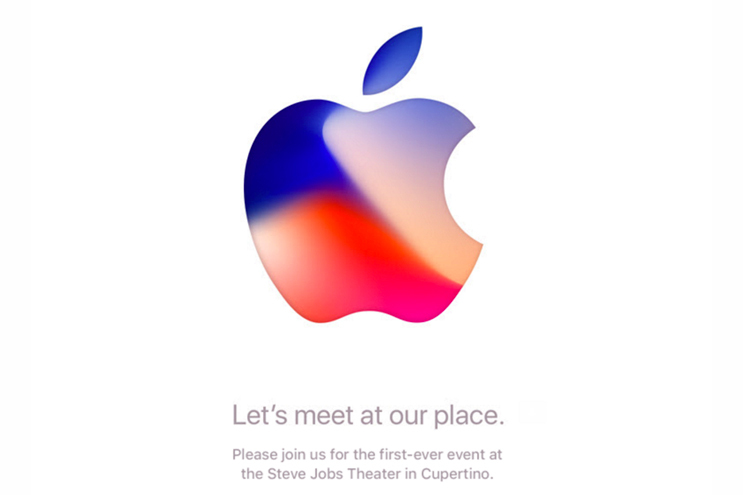 The event will hold at the Steve Jobs theater on the 12th of September.. The invite doesn’t really give many clues as to what Apple is planning. It’s the 10th Annniversary of the iPhone so Apple is expected to unveil the iPhone 8 with an AMOLED bezeless screen and an amazing 3D-sensing imaging. There will likely be a duo of the revamped iPhone 7s and iPhone 7 s plus with wireless charging and upgraded hardware. There might be a 4K Apple Tv or an LTE Apple watch unveiled as well. Let’s keep our fingers crossed though.